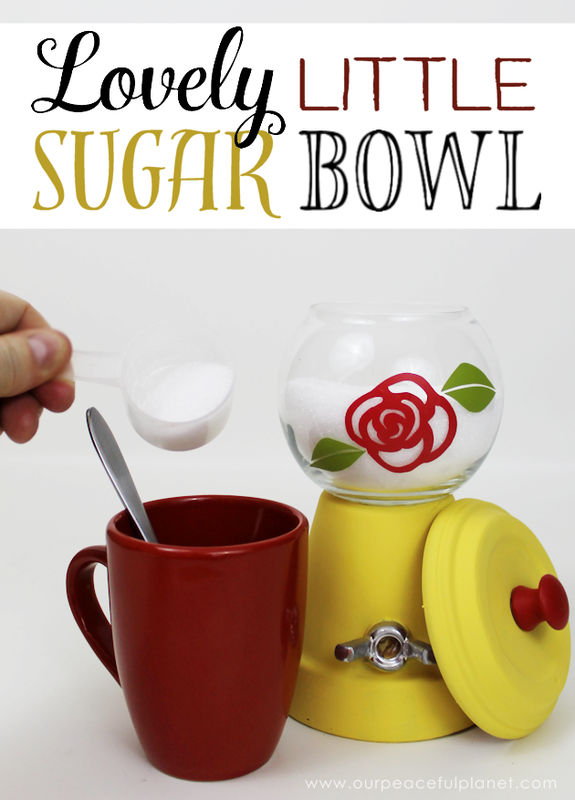 For less than $4 you can make this lovely little sugar bowl. 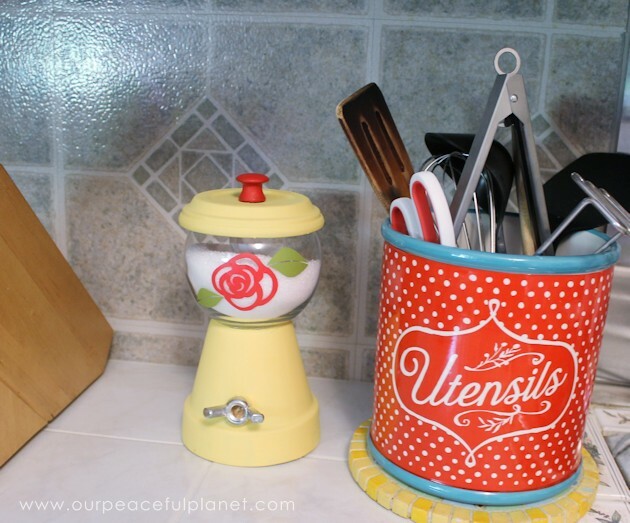 Not only is it inexpensive and simple to create, you can customize to match your own kitchen! 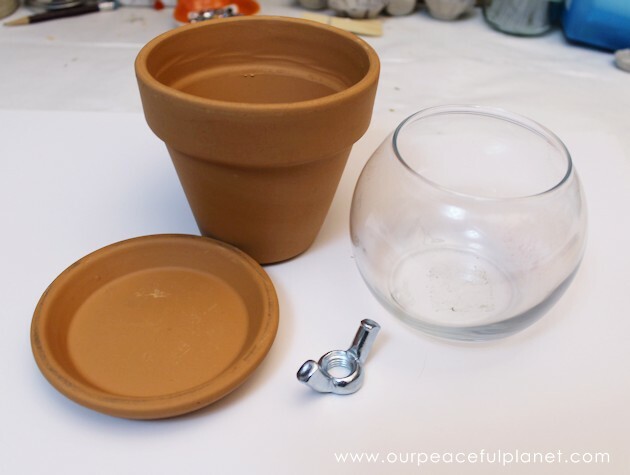 The pots and glass bowl can be found at a Dollar store or the local Walmart. 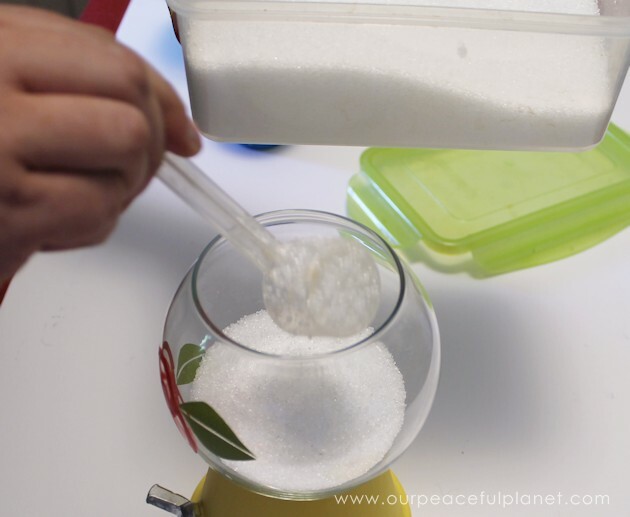 We filled ours with Xylitol as that’s what we use instead of sugar. 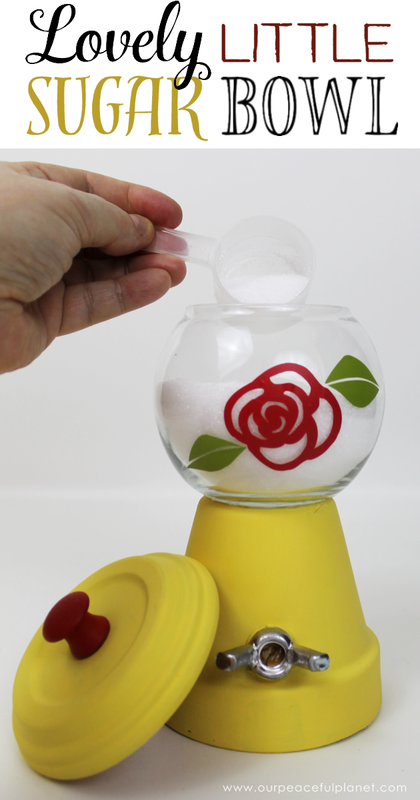 We also have an elegant version of this Sugar Dispenser. 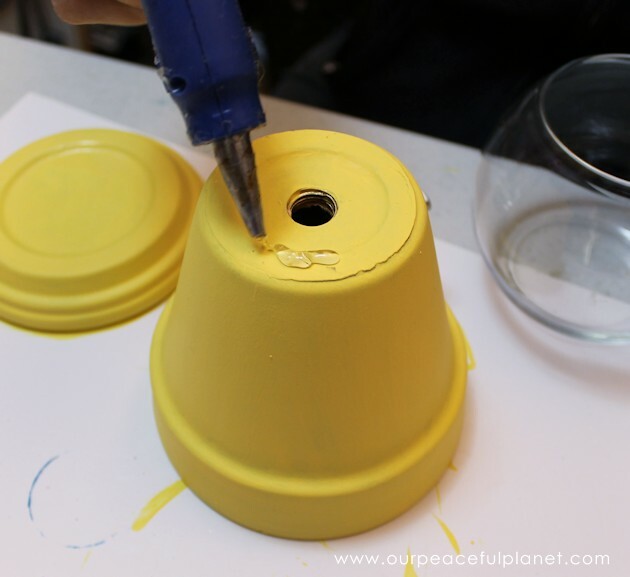 And if your looking for more clay pot ideas check out our Mini DIY Cake Stand which is really more for cookies, fruit and other small treats. 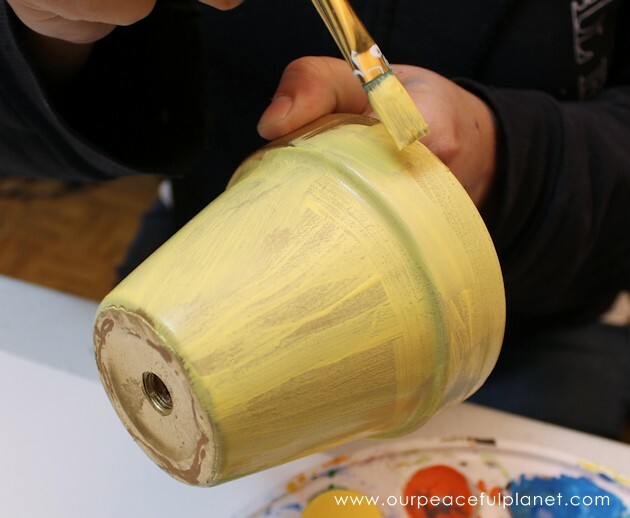 And don’t forget the standard DIY Gumball Machine! 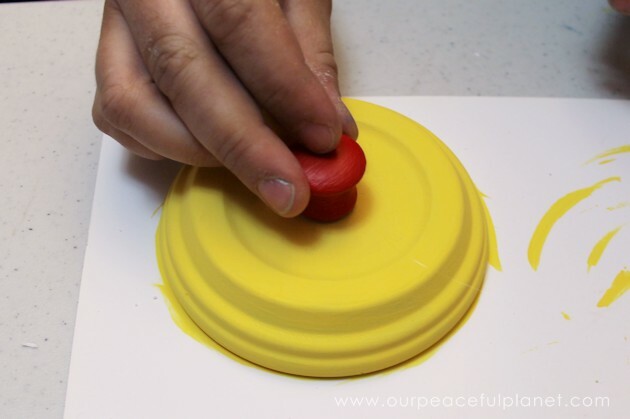 Small wood ball or knob for top. 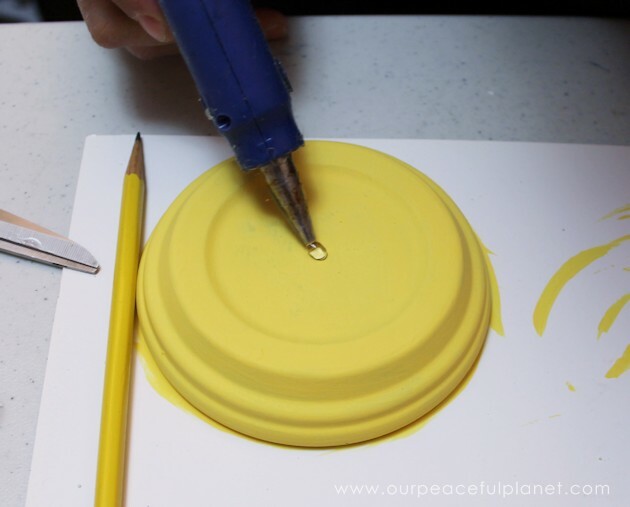 Glue on a large wing nut if desired. 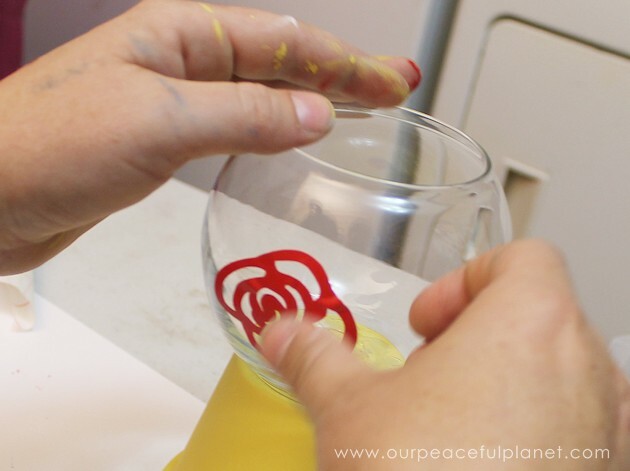 Adding a vinyl or paper flower can be tricky on the curved surface. Vinyl works best. 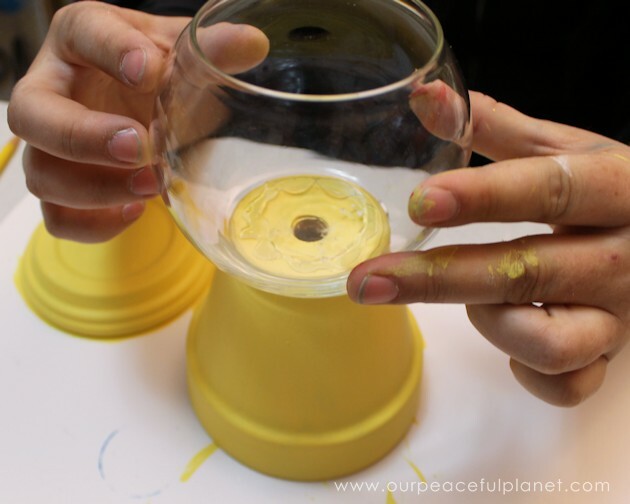 While I’ve seen these as candy jars previously, your wing nut & use as a sugar bowl made me willing to make a few. 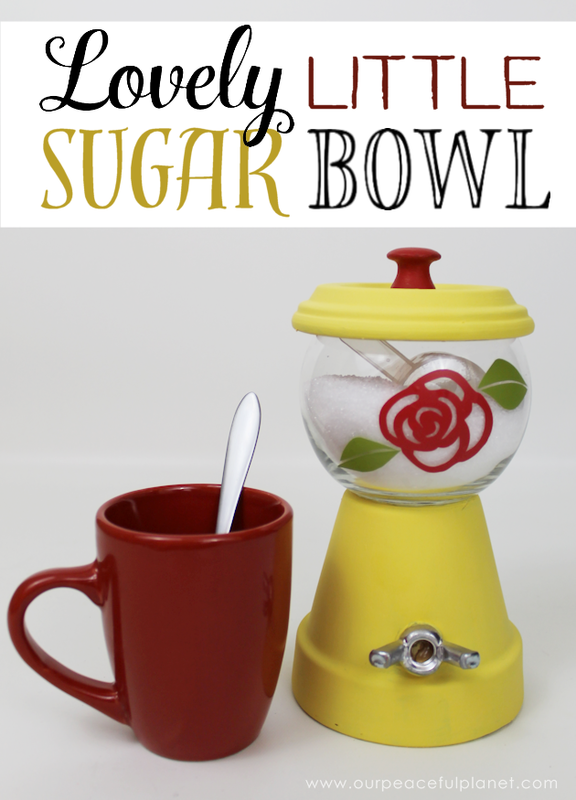 One as a sugar bowl & a larger one w/a plastic planter for laundry soap powder or pods (empty nester sans small children, so no fear of them eating the pods). Amazed how a design tweek & usage suggestion finally got the creative juices flowing!! Thanks Shan. Glad you were inspired! 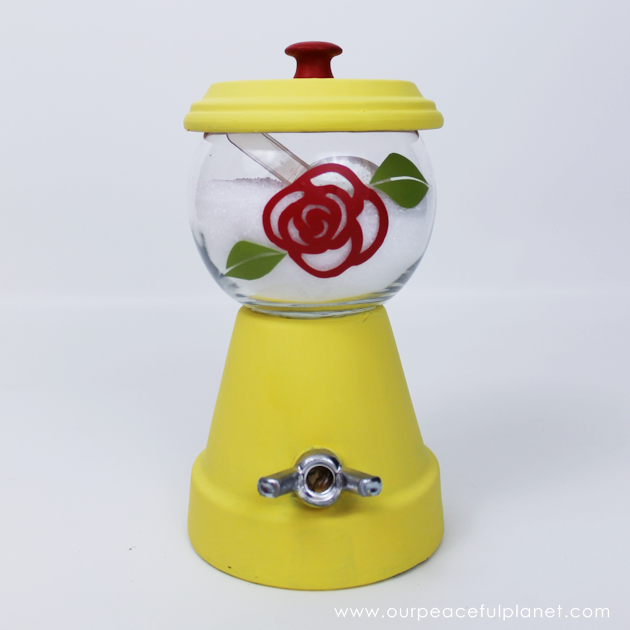 I made one to look like a gumball machine, painted it red metallic with silver cover and knob.. Love the sugar bowl version, wing nut is a great creative idea to finish off the look! This is too cute. I’m going to do different versions of this for holiday candies etc. Great idea Lynda. Thanks for visiting! Love it, so cute! 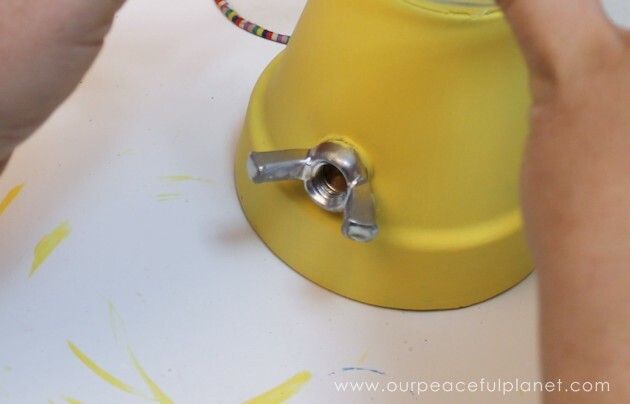 Would be great for a party buffet too, and could be filled with so many things, thanks for sharing on craft schooling Sunday! 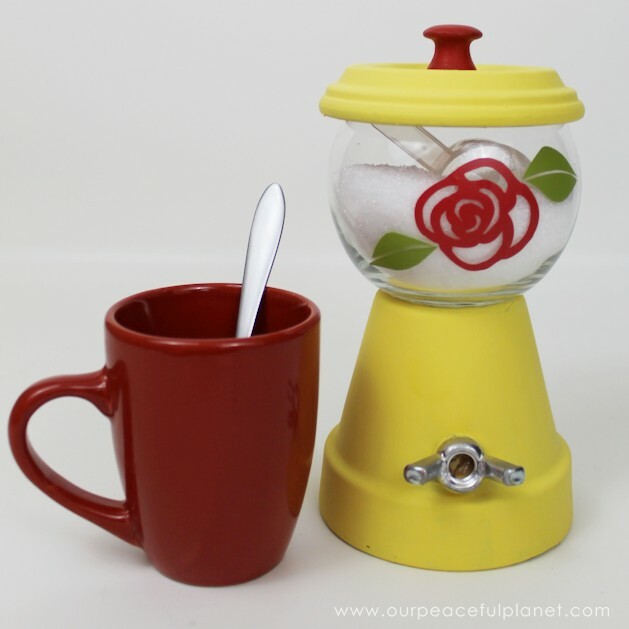 I adore your repurposed sugar bowl. It’s so creative and lovely. Thanks for sharing at the #ThisIsHowWeRoll Link Party. Pinning now. Thanks Susan. I’m pretty happy with how that turned out. Thanks for the kind comment!